It’s not often that you get to relax. But now, binge watching your favorite series has never been more indulgent than when you watch it with a Dehart Alarm Systems home theater system! Our systems can be controlled by any smart phone or tablet which means that you’ll only have to get up to refill the popcorn! With Dehart Alarm Systems’ range of high definition screens and speakers with crystal clear sound that will suit any budget, you’ll be so absorbed that the world could pass you by. 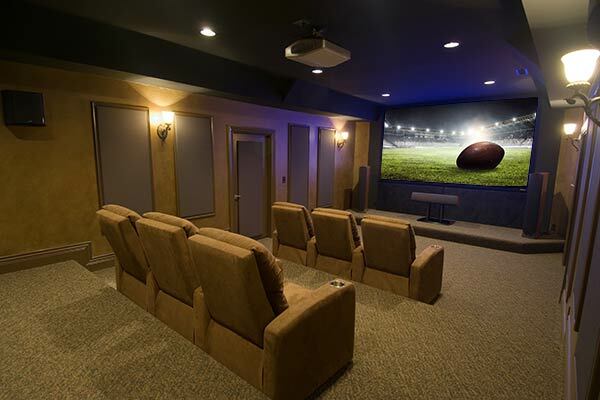 Whether you're building a new home or have an existing room that you see has the potential to get the ultimate makeover into that one-of-a-kind home theater, our team is the premier choice to create the home theater of your dreams.